Hand-mix all ingredients in a large bowl and just combine. 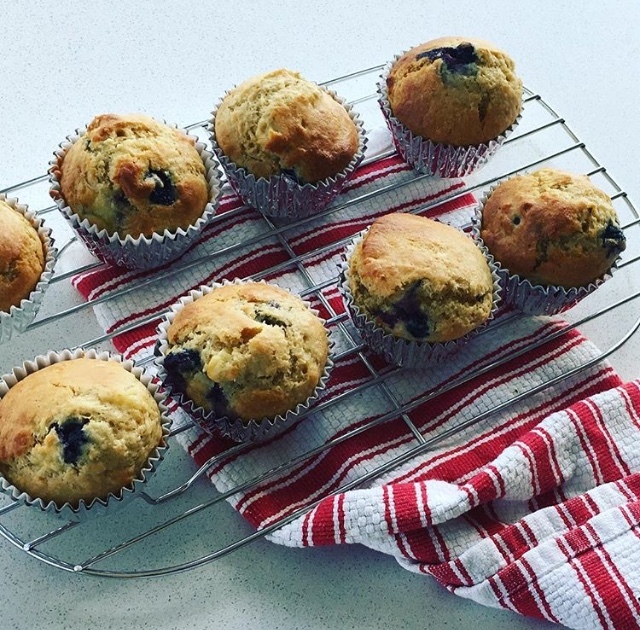 Don't over-mix as the muffins need to be light and airy. Spray a 12-hole muffin pan with oil spray. Distribute mixture evenly into muffin pan. Cook in oven 12 minutes or until golden brown on top. Tip: Try adding 3/4 cup milk chocolate buds. Other variations could be fresh raspberries and white chocolate or fresh blueberries and coconut.